Nils Gilman is executive director of UC Berkeley’s Social Science Matrix. He holds a B.A., M.A., and Ph.D. in history from UC Berkeley. 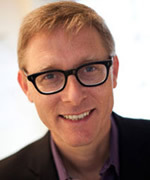 Nils is the author of Mandarins of the Future: Modernization Theory in Cold War America and the founding co-editor of Humanity: An International Journal of Human Rights, Humanitarianism, and Development. Prior to joining Social Science Matrix in September 2013, Gilman was research director at Monitor 360, a San Francisco consultancy that addresses complex and emerging global strategic challenges for governments, multinational businesses, and NGOs. He has also worked at a variety of enterprise software companies, including Salesforce.com, BEA Systems, and Plumtree Software. Gilman has taught and lectured at a wide variety of venues, from Harvard University, Columbia University, and National Defense University to PopTech, the European Futurists Conference, and the Long Now Foundation.